By Lieutenant Colonel Clayton R. Newell, USA-Ret. In July 1869, Major John Green, 1st Cavalry, led an expedition into the White Mountains of eastern Arizona Territory searching for hostile Apache Indians. Instead, shortly after his scouts reported finding some 100 acres of corn planted along the White River, he received a friendly welcome from Escapa, a Cibecue Apache chief known to the Army as Miguel, who came to Green’s camp and invited the soldiers to visit his village. Green sent Captain John Barry to investigate, still expecting a hostile reception. However, when Barry and his patrol arrived, the troopers received a warm welcome. In May 1871, Major General George Crook, a noted Indian fighter, assumed command of the Department of Arizona. After assessing the situation, he decided he needed help to subdue the hostile Apache bands in southern Arizona that roamed freely across the border between the United States and Mexico. He planned to use friendly Indian Scouts to find the enemy, mobile cavalry units to fight, and mule trains to carry supplies. In July, Captain Guy V. Henry, 3d Cavalry, tested the concept during an operation in which White Mountain Apache scouts proved loyal and effective. Satisfied with Henry’s assessment that they could be trusted, Crook went to Camp Apache in August and recruited forty-four scouts from the White Mountain and Cibecue bands. In September, Camp Apache hosted another dignitary. 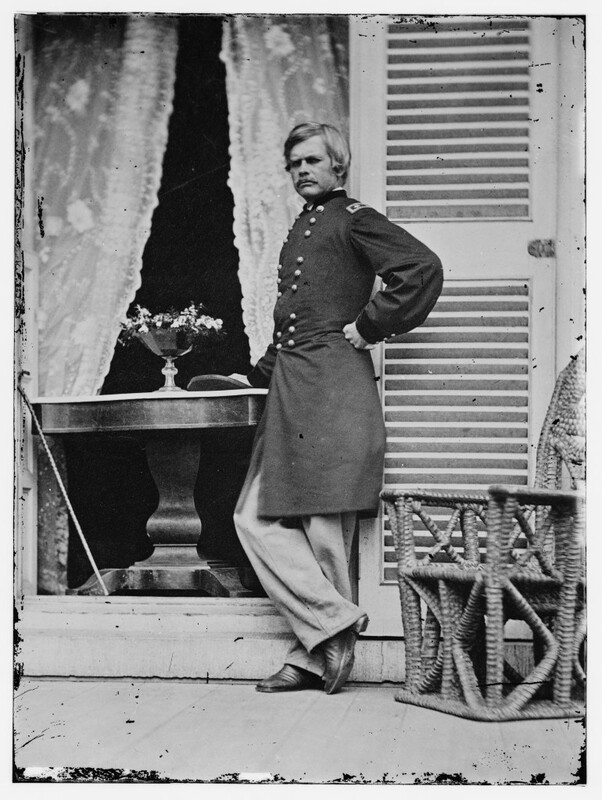 Vincent Colyer, a former colonel in the Union Army, representing President Ulysses S. Grant’s administration, visited the camp and designated the area around the post a reservation for the White Mountain Apaches. 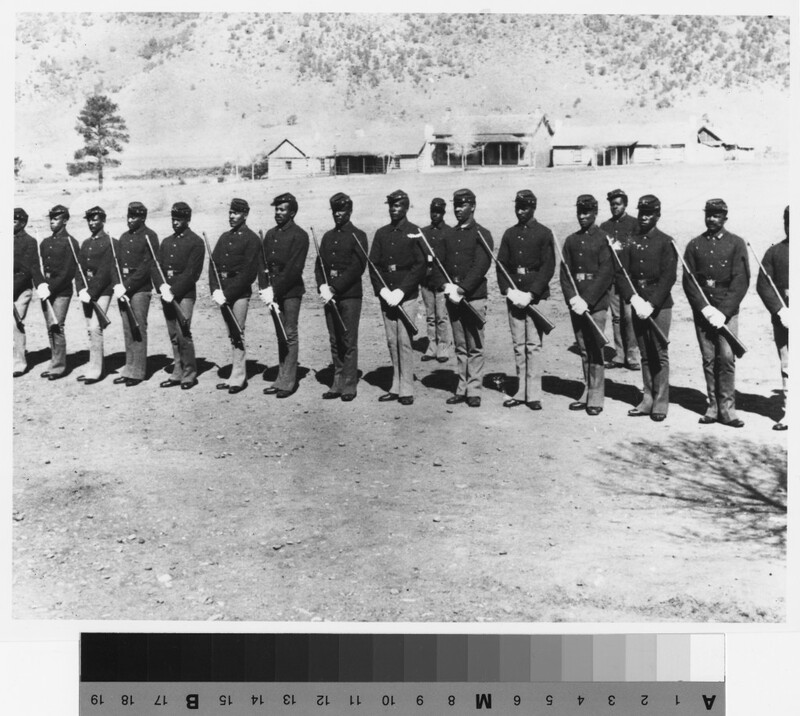 Soldiers stationed at Fort Apache were actively involved in the campaigns against the Chiricahua Apache Indians in southern Arizona and New Mexico. They were also responsible for keeping order on the generally peaceful White Mountain Reservation. In 1881, however, trouble erupted in the White Mountains. For several years, the ever-increasing number of settlers around the reservation had made the Apaches anxious about losing their ancestral homeland. During the summer, many of the worried Indians came under the influence of Noch-ay-del-klinne, a medicine man and prophet who promised to resurrect the old chiefs if the white intruders were not gone by the fall. 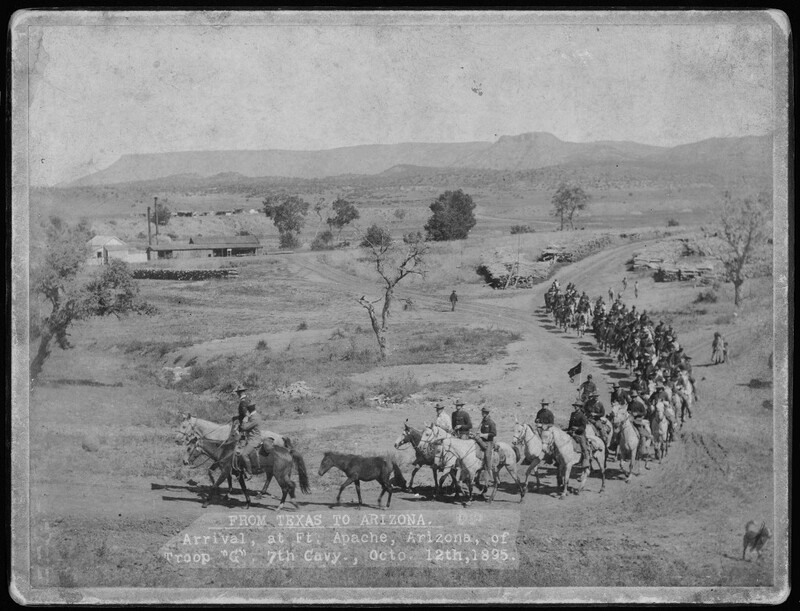 In August, fearing a general uprising, Colonel Eugene A. Carr, 6th Cavalry, set out with eighty-five troopers from his regiment and twenty-three Apache Scouts to bring the medicine man into custody. The arrest itself, which took place at Noch-ay-del-klinne’s village near Cibecue Creek, was uneventful, but that night, the prophet’s warriors and some of the scouts attacked the Army’s camp and killed one officer and seven enlisted men. Noch-ay-del-klinne, his wife and son, and several followers were also killed during the exchange of gunfire that became known as the Cibicue Creek Incident. 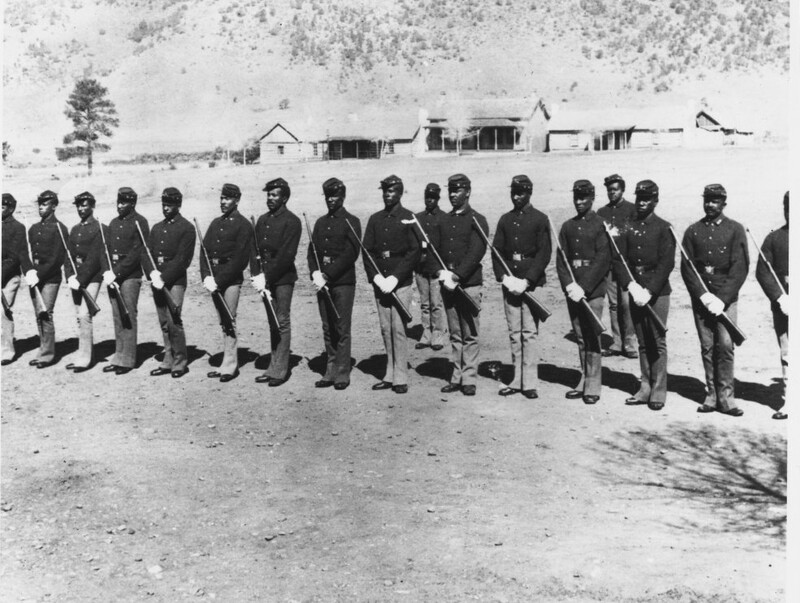 After burying their dead, the soldiers marched forty-five miles to Fort Apache, followed closely by the Indians. The next day, the warriors and mutinous scouts attempted to attack Fort Apache. However, with no strong leadership, and confronted by the heavily armed soldiers, the Indians soon gave up the idea. There were no casualties on either side, and it was the only time the post came under fire. While relations between the Apaches in the White Mountains remained relatively peaceful after the Cibecue Creek Incident, it took another five years of hard campaigning before the Army finally subdued the Chiricahua Apaches in southeastern Arizona. After Geronimo’s final surrender in 1886, he and his band were relocated out of Arizona and not allowed to return. The Cibecue and White Mountain Apaches, who had been relocated to other reservations, were allowed to return to their ancestral homeland on the Fort Apache Reservation. The service rendered by the Indian Scouts from those bands during the campaigns against Geronimo contributed to the decision. 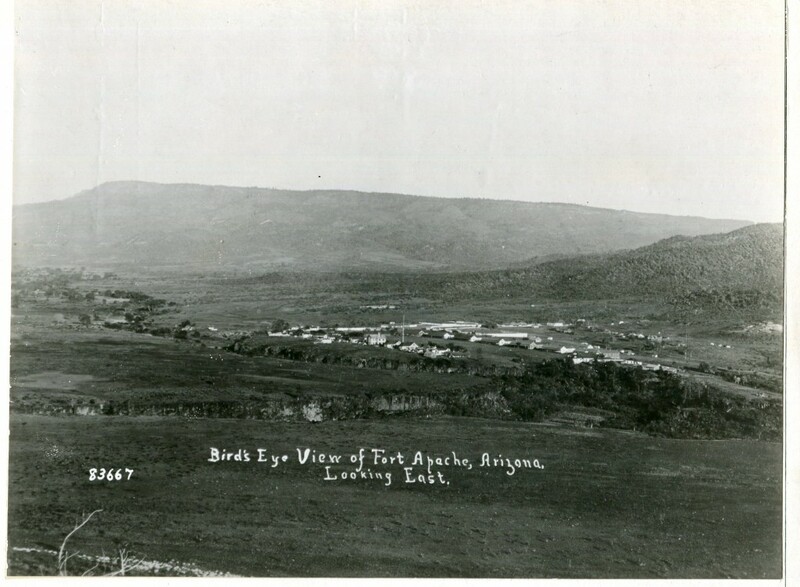 With the end of the Indian Wars in the Southwest, Fort Apache lost much of its importance as a frontier post, but it remained an active Army installation well into the twentieth century. At the turn of the century it was largely a self-contained community, raising and storing grain and operating its own dairy. Post facilities included a steam-powered sawmill, meat plant, school, chapel, bakery, and a blacksmith shop. After World War I, as the Army consolidated its forces into larger installations, the post began to decline. Troops were stationed elsewhere, and Fort Apache was finally closed in 1924. The last of the Indian Scouts were transferred to Fort Huachuca in southern Arizona, where they continued to serve until 1947 when the last of them retired. 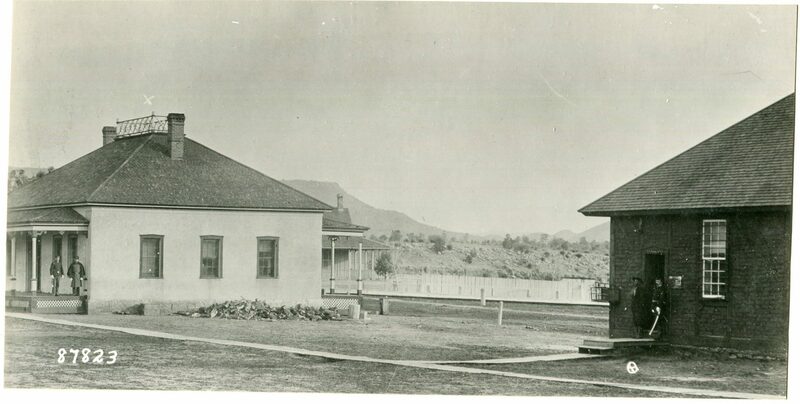 With the troops gone, the facilities at Fort Apache were transferred to the Bureau of Indian Affairs, which established the Theodore Roosevelt Indian Boarding School. The first students at the school were Navajo children. By 1930, however, the majority were Apache. Today, the buildings house a middle school. Several of the old fort’s buildings still stand. One of the oldest structures is a log building reputed to be the residence of Crook when he was at the post. The post office for the present-day town of Fort Apache occupies the adobe building that was once the office of the post adjutant. Fort Apache was a child of the Indian Wars in the Southwest. Its name conjures up visions of the U.S. Cavalry pursuing hostile Indians across the arid Southwest, but Hollywood’s portrayal of the old fort is quite a contrast to reality. Although it was an active post during the campaigns against Cochise, Victorio, Geronimo, and other Apache chiefs who confounded the Army for years, it suffered only one minor attack. Most of its service life passed quietly with only occasional disturbances of the peace. Today it has given its name to a small, quiet town populated by White Mountain Apaches whose ancestors lived in the area for centuries.